The Mike Benign Compulsion: Miles Nielsen & The Rusted Hearts, Petty Demons and the chance to win free Summerfest tickets. Miles Nielsen & The Rusted Hearts, Petty Demons and the chance to win free Summerfest tickets. Saturday, June 2nd at Club Garibaldi in Bay View. A great lineup representing the tri-state area. An early (9 pm) start. 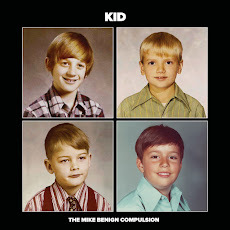 And, to celebrate The Mike Benign Compulsion's upcoming show at Summerfest opening for Squeeze on July 8th, a few of our paid attendees will go home with free Summerfest tickets. Not bad at all. 9 pm - Petty Demons, from Minneapolis, on the heels of their EP release "Side A." You'll recognize PD members Aaron and Doug from their 90s gig in the Twin Cities' fabulous Delilahs. 10 pm - The Mike Benign Compulsion from Milwaukee, WI, playing songs from the 2012 Martha LP (and a few songs even newer than that). 11 pm - Miles Nielsen and The Rusted Hearts, from Rockford, IL. "Nielsen" as in son of Cheap Trick's Rick, and a hell of a fine songwriter and performer in his own rite.